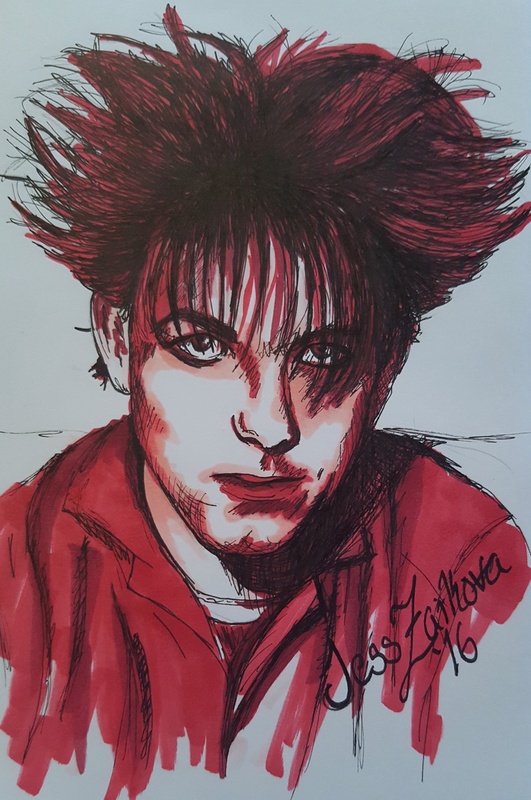 Copic marker and sakura liner 3.5x5.5 A fun little sketch of Robert Smith of The Cure. I saw them live a few months ago in Prague and they were lovely. I love that you can recognise his voice in an instant. There's no mistaking it.